A Hereford design and digital marketing agency was shortlisted to win a major award after enjoying success by expanding its horizons. 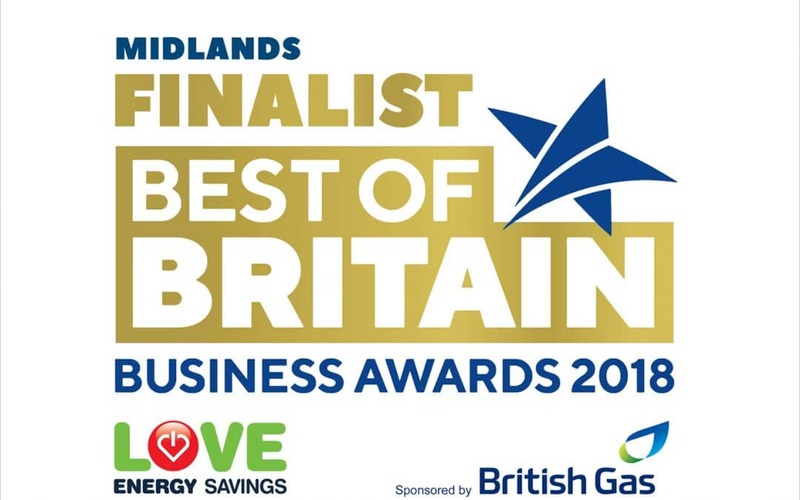 The DM Lab was one of ten finalists in leading price comparison specialist Love Energy Savings’ annual Best of British Business Awards. Judges were impressed at how its team persevered to overcome both the recession and apathy among its initial target market. This led to its founders seeking clients across the country who they hoped would recognise the value of their online and offline marketing expertise. Today, The DM Lab’s success stretches to supporting local sports clubs by designing their websites and providing other digital backing. Lancashire-based Love Energy Savings, which specialises in securing cheaper energy tariffs for business customers, founded its awards four years ago. They reward forward-thinking companies or enterprises that have outshone rivals or made their local community proud. Two finalists from each of five regions – South and North of England, Midlands, Wales and Scotland – are chosen. The awards have been sponsored by well-known energy companies EDF, Scottish Power, NPower, British Gas and Opus. The DM Lab Marketing Director Chris Tipping said the success of the business, founded in 2010, lay in being results driven. He added: “We identified a gap in the market locally and knew we had a valuable service to offer to businesses. “In our early days we struggled to break into the local market. We were new and different. “Instead of giving up, we sought clients outside of the county – around the West Midlands and nationally. “We are so confident in our ability to deliver that we never tie in clients with contracts and they’re free to come and go as they please. “However, when they see results and grow their business they are always willing to reinvest in us to grow further with a bigger budget. As they grow, we grow. The DM Lab were up against Lincolnshire house builder Larkfleet Homes for the Midlands award title which they were announced as a runner-up on Tuesday, August 28. The DM Lab were one of two Midlands region finalists and only one of ten finalists nationwide. Phil Foster, Managing Director of Love Energy Savings, said The DM Lab’s determination to pursue its goals made it a strong awards contender. He added: “Chris and his team have demonstrated that belief in a good business idea is worth persevering with, no matter how difficult the challenge may be. “At first their ideas did not quite fit into the area where they were based, but perhaps that was because they were ahead of their time in that particular location. “That the company’s products and services were embraced by others shows The DM Lab was right to continue. The DM Lab, which began operating as McTip IT from a purpose-built converted garage, has thrived by developing and learning new techniques. It also specialises in inbound and email marketing, web and graphic design, with most new business coming from referrals. In 2014 the business was rebranded as The DM Lab, or The Digital Marketing Laboratory, to reflect its online focus. Today it is also active supporting the community where it is based, applying its online skills to helping sports clubs grow. It works with a football club, three rugby clubs and a number of community organisations and initiatives, offering its expertise in exchange for sponsorships and partnerships.